The architects began implementing their design by first inserting large, full-height timber volumes in order to subdivide the available space into sleeping and living areas. The main bedroom is basically enclosed within one of these timber “boxes” which separates it nicely from the main living area and gives the sleepers the needed privacy. 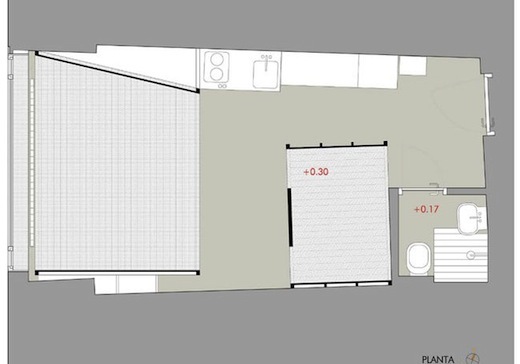 A small bathroom with a shower, toilet and sink is located right behind this bedroom, near the front door of the apartment. 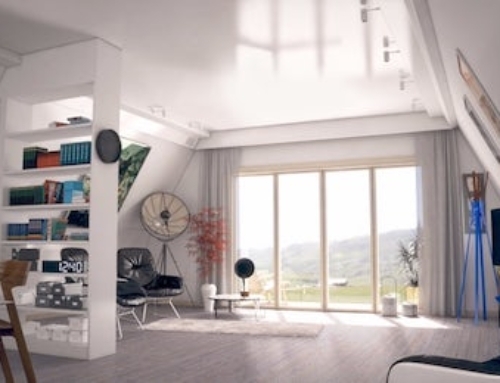 Living in such a tiny apartment requires clever storage spaces to maximize the available space. 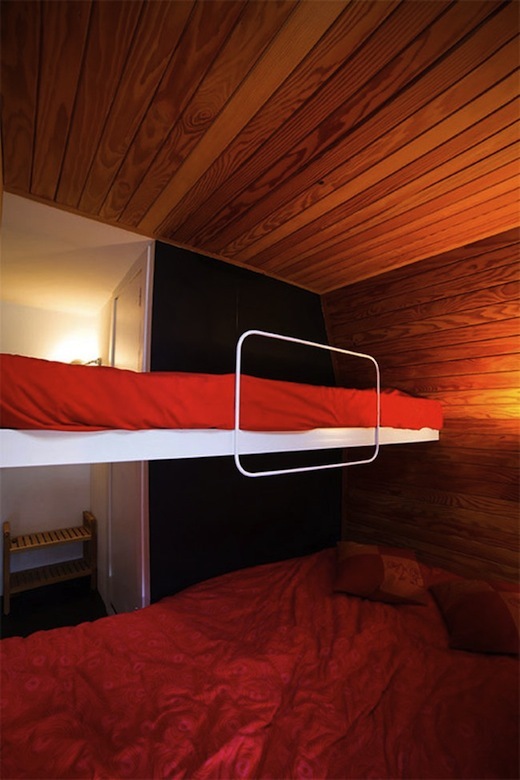 The architects solved this problem by hiding the storage space behind large swinging panels in the wooden walls of the sitting area and in drawers beneath the beds.